The use of highly inducible HSP promoters for exerting spatial and/or temporal control over the expression of therapeutic transgenes has long been discussed. Localized and time-limited induction of the heat shock response may potentially also be of medical interest. However, such applications would require targeted delivery of heat doses capable of activating HSP promoters in tissues or organs of interest. Accessible areas, including the skin and tissues immediately underneath it, may be most readily targeted. 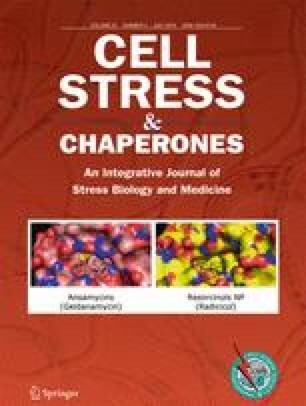 A few applications for heat-directed or heat-controlled therapy in the skin might involve expression of proteins to restore or protect normal skin function, protein antigens for vaccination/immunotherapy, vaccine viruses or even systemically active proteins, e.g., cytokines and chemokines. A review of the literature relating to localized heat activation of HSP promoters and HSP genes in the skin revealed that a multitude of different technologies has been explored in small animal models. In contrast, we uncovered few publications that examine HSP promoter activation in human skin. None of these publications has a therapeutic focus. We present herein two, clinically relevant, developments of heating technologies that effectively activate HSP promoters in targeted regions of human skin. The first development advances a system that is capable of reliably activating HSP promoters in human scalp, in particular in hair follicles. The second development outlines a simple, robust, and inexpensive methodology for locally activating HSP promoters in small, defined skin areas. We would like to acknowledge the following colleagues for their contributions: Prof. Marco Celio and Dr. Walter Blum, Frimorfo Inc., Marly, Switzerland; Prof. Daniel Hohl, Dr. Marcel Huber and staff, Service de dermatologie et vénéréologie du CHUV, Lausanne, Switzerland; the mechanical engineers of the Haute école d’ingénierie et d’architecture de Fribourg, Switzerland; Lis Schärer; Prof. John Thome, Laboratory of heat and mass transfer, EPFL, Lausanne, Switzerland; and Dr. Nuria Vilaboa, University Hospital La Paz-IdiPAZ, Madrid and CIBER de Bioingeniería, Biomateriales y Nanomedicina, CIBER-BBN, Spain. The studies reported herein received funding from the Commission for Technology & Innovation CTI, a Swiss federal agency, and from HSF Pharmaceuticals SA. RV is the founder of HSF Pharmaceuticals SA, a company with an exclusive focus on research and early development activities.